Our ecommerce web design and online shopping carts are built 100% from the ground up and to your exact custom ecommerce specification. Merchant website applications such as online stores, require a strong, stable and engaging user experience or your customers will likely turn to your nearest online competitors. Big Web Copmpany understands the importance of customer conversions and loyalty which is why from the outset we take on board your specific niche market, business goals and brand values to help create beautiful ecommerce website design that works across every metric. Sell through a professional online shop; providing affordable ecommerce prices and packages backed with website design that gives you an immediate edge in a competitive market. Understanding the importance of your brand, our design work aims to gain customer confidence and loyalty. We gaurantee to develop a site that will be both attractive, functional and ready to sell online exactly how you like without the huge expense often associated with building ecommerce websites. Programmed to the latest industry standards we offer the best ecommerce website design and hosting that is secure, scalable and lightning fast for regular use. To offer your customers fast and fluid checkout through your site, Big Web Company offer integration of all the most popular payment gateways. Whether it be via a redirect or custom on-site integration; we develop secure, reliable systems to help increase your sales. Stripe Payments, Barclays EPDQ, Realex Payments, PayPoint, PayPal, Authorize.net, SagePay and RBS WorldPay are just some of the many companies we have worked with. Contact us for more information and to see how we can get your site accepting credit card payments in no time. Avoid the unattractive, harmful and templated ecommerce DIY builders that all too often businesses settle with, Big Web Company specialise in branded custom ecommerce website design geared towards maximising your customer conversions, awareness of your products and minimal bounce rates. Your online ecommerce store is no different than the shop windows on the high streets, customers are easily put of by what they do or don't see and this is where high quality, professional ecommerce web design helps to pull in customers you might overwise lose to your nearest competitors. As a business, it is natural to seek increased exposure and loads of clients for your business. With a fully functioning ecommerce store, you can easily attract prospects and turn leads into clients, encouraging them to make a purchase and return for more. Similar to the design elements of your brick and mortar store, it is the design of your online store that should appeal to your audience at first sight and create a great shopping experience. Industry standard MYSQL databases that can hold thousands of products. Avoid accidental purchases with automatic stock control when products are sold. Increased security with secure SSL online registration, newsletter signup forms. Credit Card payments using Realex, RBS WorldPay PayPal and many others. Create multiple levels of product categories which is perfect for SEO. Easily track and export orders through our custom order management system. Product image galleries with multiple views including hover-over photo zoom. Add promotional codes, discounted products, bulk ordering or wholesale prices. Allow your products to be shared on the social network sites such as Facebook. 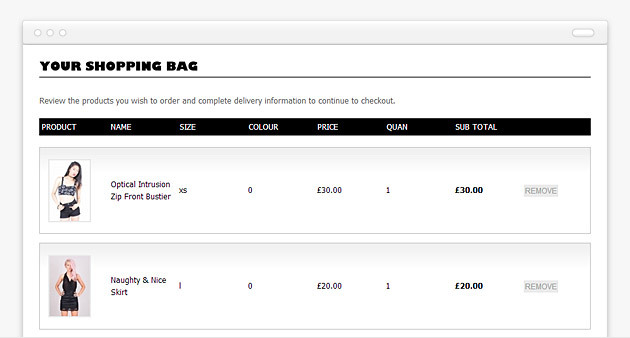 Automatically send out HTML email order confirmations and password reminders. Print off new order invoices that can be sent with the delivered items. Lets be honest; the number one reason you need an ecommerce website is to convert window shoppers into paying customers; the problem sites that prevent this from happening is far too complex store navigation, illogical page structure, confusing functionality and product landing pages with too many options to choose from, which can leave customers indecisive. 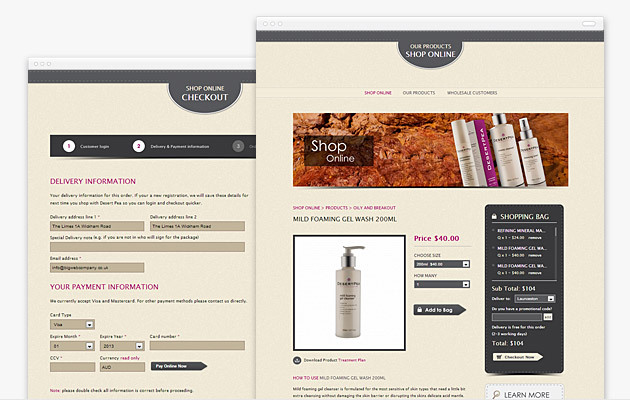 Keeping things simple, straightforward with the clearest route from A to B (home page too checkout) is how we treat our ecommerce web design which has been proven to help our clients convert more customers. SSL also know as Secure Socket Layer is a industry standard form of data encryption that enables websites that contain or pass sensitive customer information, to be sent securely across the internet. If you have noticed websites such as ours with the small padlock symbol, that means your on an SSL secured page and your data is completely safe from eavesdropping. SSL combined with high quality ecommerce web design is by far the best way to increase customer confidence in using your website, gives you access to higher level credit card payment page integration and is considered a very safe way to run any demanding ecommerce business. 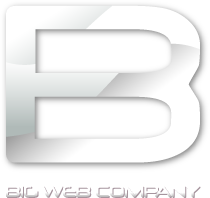 Whether you need a custom developed site or an ecommerce WordPress theme along with plugins and widgets, Big Web Company can help. Planned from the groud up, we take your list of requirements, your budget level and ecommerce goals to formulate a detailed custom ecommerce website specification that will provide an effective solution to your brief. Being custom built you'll have plenty of room for adaptaion as your product range or services grow. 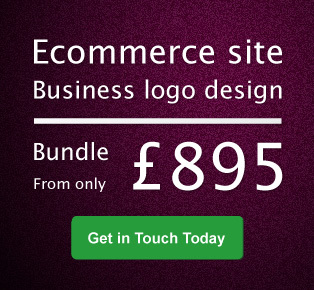 With prices starting from only £895 plus your very own branded business logo design, all that's needed is your product and our web design expertise to get you selling in no time. Setting up an ecommerce website is not enough for driving sales. With so much online competition, there is a fine line between having a good website and having a great one that indeed attracts customers and convinces them to stay. 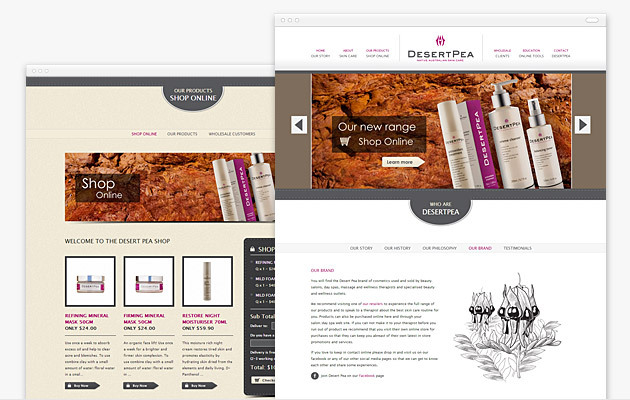 In this era of cut-throat competition in the online marketplace, small merchants offering their products and services online need an interactive, custom ecommerce web design solution to take their brand to a new height. We will soon be launching a new and convenient online facility to allow customers to retrieve invoices and settle them using PayPal.